Salvage Life provides its shoppers with one-of-a-kind vintage offerings along side curated new merchandise. We search far and wide for quality, stylish clothing and accessories that will keep you looking creative and current. All of our vintage clothing is inspected, repaired if necessary and cleaned, so that the item you purchase is “like-new.” We've recently added new merchandise to complement our vintage, due to the increasing demand for additional sizes and styles. We hope that you will find something to make your life more beautiful! 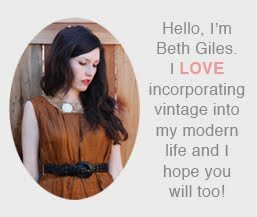 Beth Giles started Salvage Life in 2006 after working as a showroom assistant and a visual merchandiser. 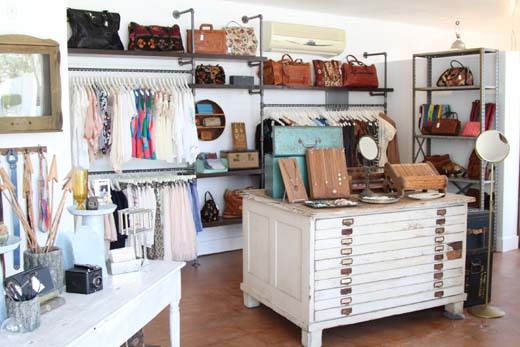 Working at a contemporary showroom, she gained an appreciation for well made clothing and vintage styling. As a visual merchandiser, Beth worked with one-of-a-kind items and vintage decor to create themed window displays. She received her BA in Clothing and Textiles, with a second major in Fashion Merchandising, from California State University Long Beach in 2006. While in college, Beth often used vintage clothing as inspiration for her designs and included vintage buttons and embellishments in her collections. Beth lives with her husband and daughter in their vintage 1920’s bungalow in Long Beach, California. 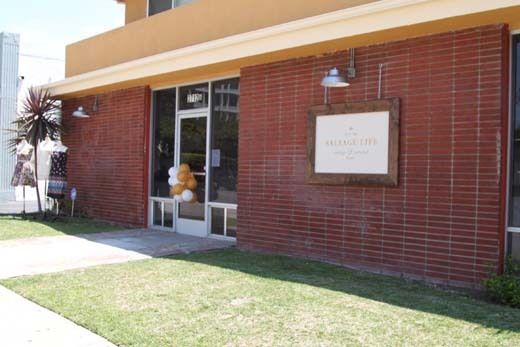 In July 2013, we opened our new store in the Bixby Knolls neighborhood of Long Beach, CA. The store features women's clothing and accessories (vintage & new), cards, gifts, children's and small home decor items. Would you like to receive email updates about new arrivals and discounts? Sign up here. We strive to provide excellent customer service. If you have a question or concern please email us at hello@salvagelife.com.